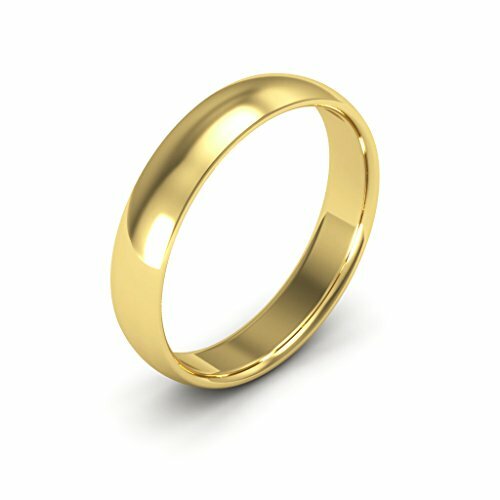 4mm Half round comfort-fit light 14K yellow gold men's and women's plain or traditional wedding band polished to a high shine. The thickness of this ring is about 1.2mm. Made from a seamless tube with a Computer Numerical Control (CNC) machine for accurate and percise design.